one of your final thoughts will be "I can't wait to see the photographs”. The photographs are what will allow you to relive the excitement and emotions of the day for all the years to come. So you can see how important it is that you entrust the right people to capture every significant moment, every emotion and every detail of the day for you, from beginning to end, in a beautiful, natural way that will stand the test of time. That's where we come in. 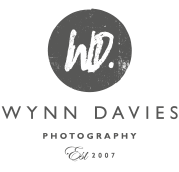 We will produce hundreds of stunning, relaxed and timeless images from your special day: all the things you put so much thought and planning into, all the spontaneous and all too fleeting moments, all the bits you remember, all the bits you might have missed and everything in between. Which is why it is vitally important to have a team of 2 photographers who can be in two places at once, can photograph major parts of the day from different angles and have the capacity to capture every important moment and detail. A hugely important part of what we do is getting to know you both and your plans really well before the big day. We know that the results we achieve are directly related to the relationship we have built with our clients. An engagement shoot is an integral part of this - we have a fun few hours doing some very relaxed and natural photography, and importantly making you completely comfortable in front of the camera, so the big day is a breeze and the photography is breathtaking! We will also have a number of meetings together, including a venue visit with you, to discuss your plans and wishes in detail. So we'll be familiar, friendly faces who slot seamlessly into your wedding day. In keeping with the exceptionally high standard of service we offer, our albums and wall art are all beautifully handmade using traditional methods and sourced from the finest suppliers in the market. Packages are available from £1,700 and you can choose to include a beautiful Queensberry album to showcase your favourite images from the day. Please get in touch/request a brochure for more details by visiting the “Contact” page or clicking the link below.